North Sulawesi province is located at the northern tip of Sulawesi Island with the capital city called Manado. The total population of North Sulawesi in 2010 of approximately 2,270,596 inhabitants with the population growth rate of 1.28 percent / year. Almost 45% of the population lives in urban areas, and the remaining 55% live in rural areas. Enrollment rates for primary school level are quite high at 96.10% so that people who do not enjoy the elementary school is only less than 5%. It should be admitted that this is a travel destinations you must visit if you're in North Sulawesi. 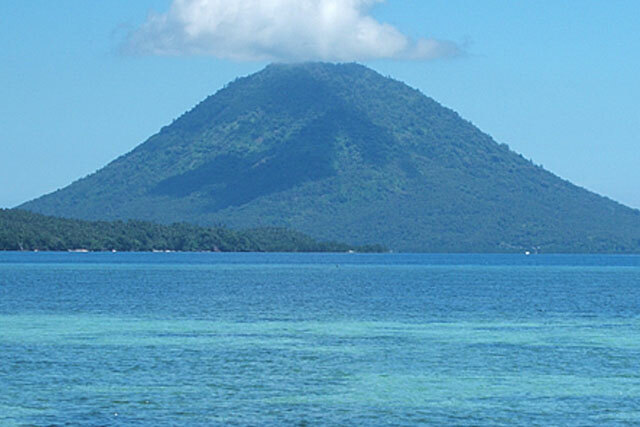 Bunaken Island has an area of 8.08 km² and is located in the Manad bay. There is no doubt when we talk about the beauty of Bunaken Marine Park, many travelers who visit the island has been stroked by the beauty of this place. It takes only 30 minutes to reach this island by using fast boat (speed boat) from Manado. Bunaken Marine Park has about 20 dive points with varying depths up to 1344 meters. From about 20 dive points, 12 points of which are located around Bunaken Island. 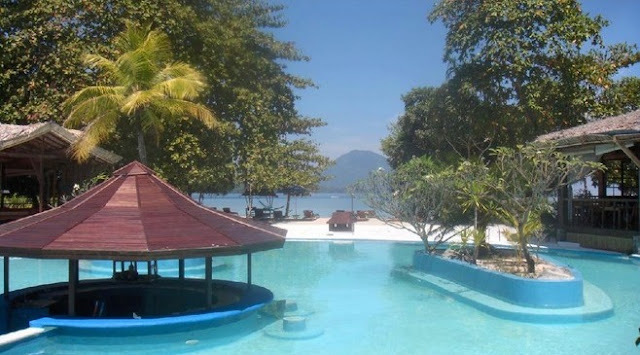 The island is located to the northeast of the island of Bunaken and has an area of 31.25 acre. The island is surrounded by white sand beaches and there are coral reefs inside the sea with diverse marine life forms and colors that form a quite beautiful sea park. You can enjoy the beauty of the sea in this island while traveling, riding glass boat (catamarans), snorkeling, diving (diving), underwater photography and of course sunbathing on the beach with white sand. 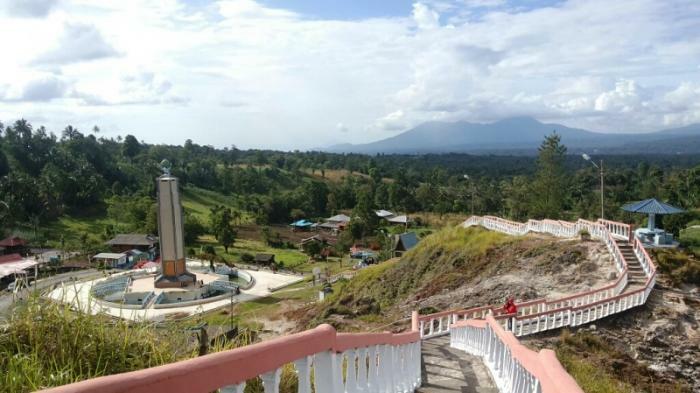 Kasih hill which is located in Minahasa district is a travel destination that symbolizes the harmony among religious adherents in the province of North Sulawesi. In this place there are all places of religious community. To reach this point takes about 90 minutes from Manado. In addition to the Kasih Kanonang hill, in North Sulawesi also contained a prayer hill which is offering views of nature that can spoil you eye for anyone who come to visit. The expanse of natural green scenery would be provided for anyone who comes to visit. Because of its beauty, Doa Tomohon hill is often used as pre-wedding photos. To achieve this place it takes 30 minutes away from Manado. Only few who know the existence of this place, but Linow Lake is one of the interesting sights in North Sulawesi. 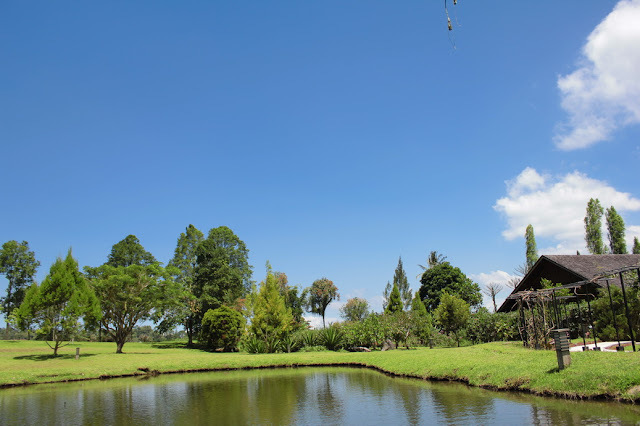 To go to the Linow Lake requires approximately 50 minutes travel time from Manado. Linow Lake and Doa Tomohon hill are a travel destinations which are managed by the private sector (the same person). What's interesting about this lake is the color of the water which is frequently changed. 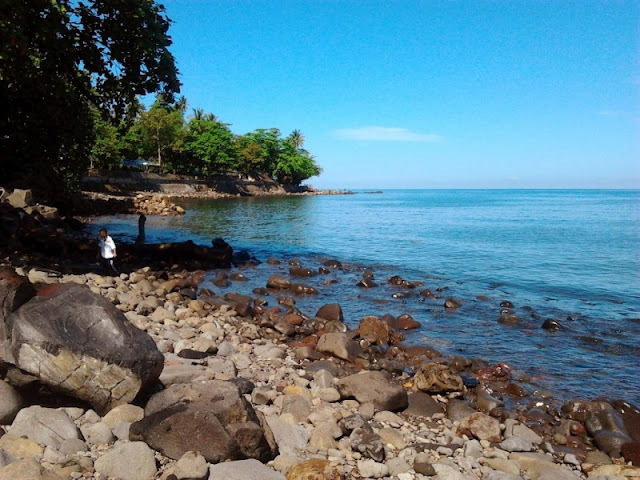 Malalayang beach is one of the places which are mostly visited by the people of Manado to spend his vacation. The access is pretty easy and it’s quite close to Manado City Centre. From the city center it can be reached by vehicles of less than half an hour. 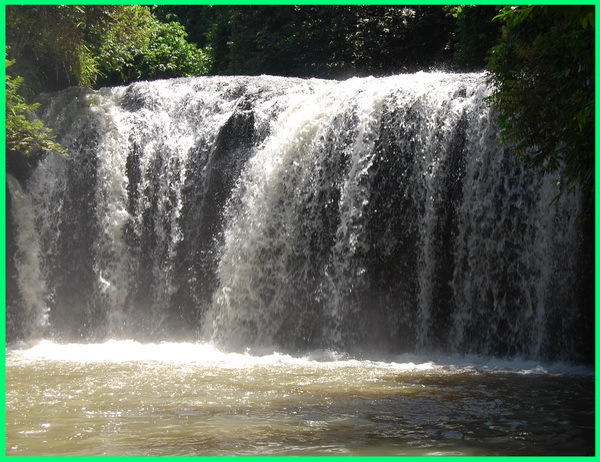 Kima Atas waterfall is the only waterfall in the city of Manado from a total of 15 waterfalls in North Sulawesi. The location is in the Mapanget district, approximately 10 km from Sam Ratulangi Airport. The place is quite safe to swim because there are no sharp and dangerous rocks. The island of Manado Tua is one of the uninhabited islands in Manado, this island is also part of the Bunaken National Park along Bunaken islands, Siladen, Mantehage, Nani. 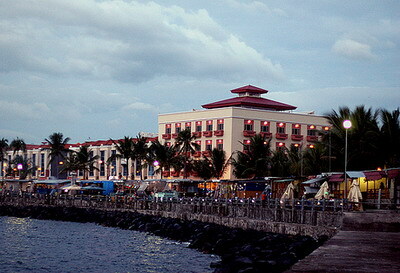 The island can also be achieved from Manado approximately one hour. Boulevard Beach is located in the business district, where the Mall, Shops and commercial stores lined up in this beach. Boulevard is not the real name. The real name is Pierre Tendean road, but in the people of Manado prefers to call it Boulevard. At Minahasa, there are some warugas but the recommended one is the one that is located in sawangan village at North Minahasa regency. Waruga is an antiquity tombs made of stones. strangely, the positions of the bodies were buried in waruga as if it liked a fetus in the womb. for you who is planning to spend more time for visiting North Sulawesi, now you already have the reference for travel destinations in North Sulawesi.